Phoenix, Ariz.—On Monday, the Arizona Senate is planning to consider SB1392, a permanent tax cut for digital goods and services. This cut will leave our already anemic state budget with another $120 million loss that will grow exponentially over time, according to projections from the Arizona League of Cities and Towns. The cut will also slash $14 million from Prop 301 revenues, a direct cut to teacher pay. At a time when schools are struggling to find and keep teachers, the AZ Schools Now coalition believes we should be doing everything possible to increase revenues available for our schools, not depleting the account that schools rely on for teacher pay. By cutting current and future revenues, it is virtually impossible for Governor Ducey to keep his promise of restoring funding for district and charter school additional assistance. Decreasing revenues means fewer dollars available for schools. It’s that simple. 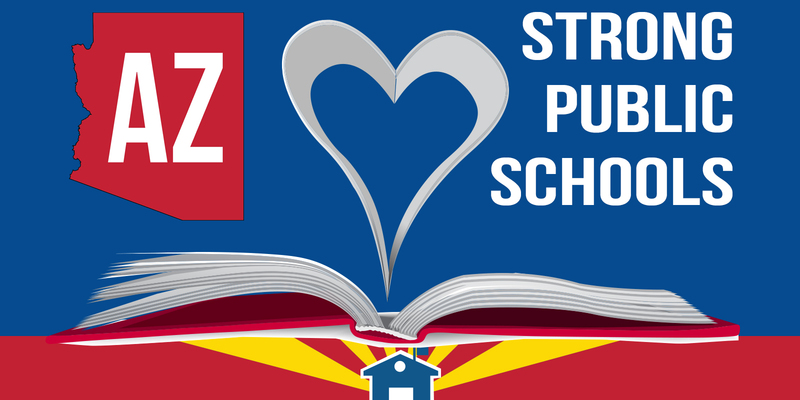 Arizona voters have been clear: fund our public schools. If legislators pass this bill, voters will know their lawmakers are not serious about investing in schools and will hold them accountable in November. AZ Schools Now asks state senators to vote NO on SB 1392.